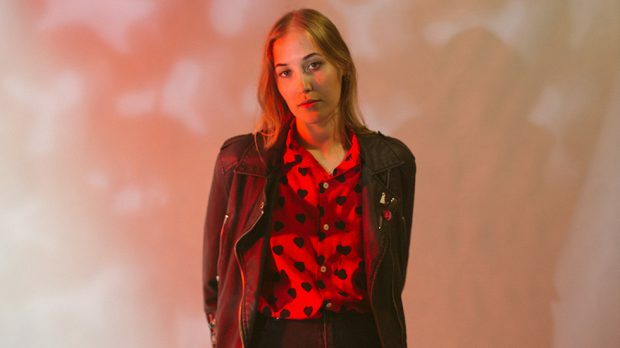 Harriette Pilbeam, who goes by the stage name of Hatchie, is one of dream pop’s biggest rising stars at the moment. Her first single, Try, got a lot of attention last year and since then she’s built on that with more acclaimed releases culminating in her debut EP Sugar & Spice. Having recently played around the world at SXSW and The Great Escape Festival, Hatchie and her band are returning to Australia to tour with DMAs. KIERRA POLLOCK had a chat to Hatchie about her songwriting process, SXSW, playing with DMAs and recreating her dreamy sound live. All of your tracks are so dreamy, who are you influenced by? I really love a bunch of 80s and 90s artists like Cocteau Twins and The Sundays but also newer people like Beach House and Chairlift. Those are probably the other similar artists that I’m influenced by. I enjoy your songs lyrically as well, where do you get the ideas for your tracks? For the most part the songs start off personal, but they kind of turn into a fictional story. I’ll write a verse if I’m feeling upset about something or if I’m feeling really happy. It’s usually when I’m feeling really strongly about something, and then they kind of develop into their own story that may not be 100% true to my life, but the songs take on their own story. For the most part it’s when I’m feeling really down or really up. All of your music videos have a super cool aesthetic. Given you work with Joe Agius (The Creases) on most of them, how do these kinds of concepts come about? For the most part, it’s all Joe. He’s really creative, especially visually, and he’s a musician as well. So he knows exactly what it’s like to do a video and what’s best for the song, as well as the viewer. Generally, we brainstorm together and we try to collaborate on all the ideas, but for the most part it all comes from him. I’m not as good with visual stuff as I am with like, sound. So usually I can leave it to him to come up with something really cool. Sugar & Spice is one of my favourite songs at the moment, what’s the story behind this track? I wrote that song when I was super-duper, disgustingly in love, which I still am. But it was when I was really falling in love with Joe. I started writing some of the lyrics about four years ago, but then the rest of the song came together about two years ago, after I’d written Try. It’s just about being really, really, really in love. The “You don’t call me baby anymore” bit was thrown in later and it kind of became it’s own story. That was more of just a writing tool to make the song have a bit more depth, and singing about being so in love, but also feeling that something’s a bit off, or somethings kind of gone a bit wrong. It’s talking about that period when you are so madly in love with someone that things are starting to unravel. Your songs all have a kind of bittersweetness to them, is that intentional? I don’t think its intentional. I think it’s just the kind of person that I am. I’m a mixture of positives, but I’m also cynical. I think that’s what comes through in my song lyrics. Often I’ll be really excited or happy about something, but something in the back of my head will be like “everything could go wrong!” or “this bad thing could happen and ruin it all.” It’s really interesting because a few people have bought that up. Even the songs like Sugar & Spice that are beautiful, happy love songs have a little bit where I’m like “I’m actually not so sure.” That’s something I noticed in hindsight but it’s still a reflection of who I am as a person. I think it’s more realistic, and I think maybe a lot of people think that way. Maybe that’s why the song has resonated with a lot of people. You’ve toured with The Creases and Ball Park Music, and soon you’ll be touring with DMAs. What have these shows been like and how are you feeling about the DMAs shows? I’m really excited for the DMAs shows. I like their new album and they always put on a good show. I haven’t seen them live in a while, so I’m excited to see them as well as play with them. The Ball Park Music shows were amazing. They were cool, big venues and they are all so lovely. They are really, really nice people to tour with, and obviously they work really hard and they are super talented. They’re all from Brisbane, so it was fun being with Brisbane people and getting to play two really big shows in Brisbane at one of my favourite venues. Ali Barter was on that tour as well and she’s great and her whole band is as well. It’s really cool watching those bands and learning from them because they’ve been playing together for so long and they know exactly what to do and how to put on a good show. We learnt a lot from that tour, and I’m excited to get things up another level when we do these DMAs shows. You played some very cool shows over at SXSW, how was that experience? It was really fun and different and exciting. I was a little scared going over because I didn’t know what to expect, but once we were over there it was awesome, we had the best time. We played six shows in five days, and did promos and meetings and stuff in between each show. We were working really hard, but it didn’t feel like hard work because it was really fun. Being in a different place and meeting lots of new people made it really good. The weather was amazing and there was good food everywhere, we saw a lot of bands that are now becoming our new favourite bands, so I’m so happy that we went. It was only two weeks but we learnt so much, and we are really excited to go back as soon as possible. How do you go about transferring your dreamy sound into a live setting? I’m really lucky in that the guys from my band are all really talented and happy to work really hard. They are all really great at helping to figure out how to translate it. We use samples to cue sounds which covers a lot of it. Our drummer takes care of triggering that on stage and Joe puts all that together before the show. We use sample tracks and the guys have a huge number of pedals that they use for the guitar sounds. It’s not perfect and it’s definitely a little bit different from the recordings, but I like that. I don’t want it to be perfect because then its unbelievable. It sounds a bit rougher which I like and it’s mostly up to the other guys. I play bass and sing which is the easiest stuff to recreate from the recordings, so I’m really lucky to have the other guys to help me out. Hatchie’s Sugar & Spice EP is out now. Catch her supporting DMAs this Sunday, June 3 at Metropolis Fremantle.